This is lovely! Pretty flowers! Thanks forjoining us at FMS! This is gorgeous Sylvie. I love the papers and beautiful flower. This is just lovely Sylvie. I thought about you the other day when there was a programme on tv about Gib... didn't see you though! This is so pretty Sylvie. A gorgeous card. Such a lovely card Sylvie! Love the pretty paper and flower! Thanks for joining us this week at Freshly Made Sketches! I love how you've used the patterns and still kept it CAS! Gorgeous! So pretty Sylvie. Love the gorgeous floral paper you've used. Lovely weather here this weekend! 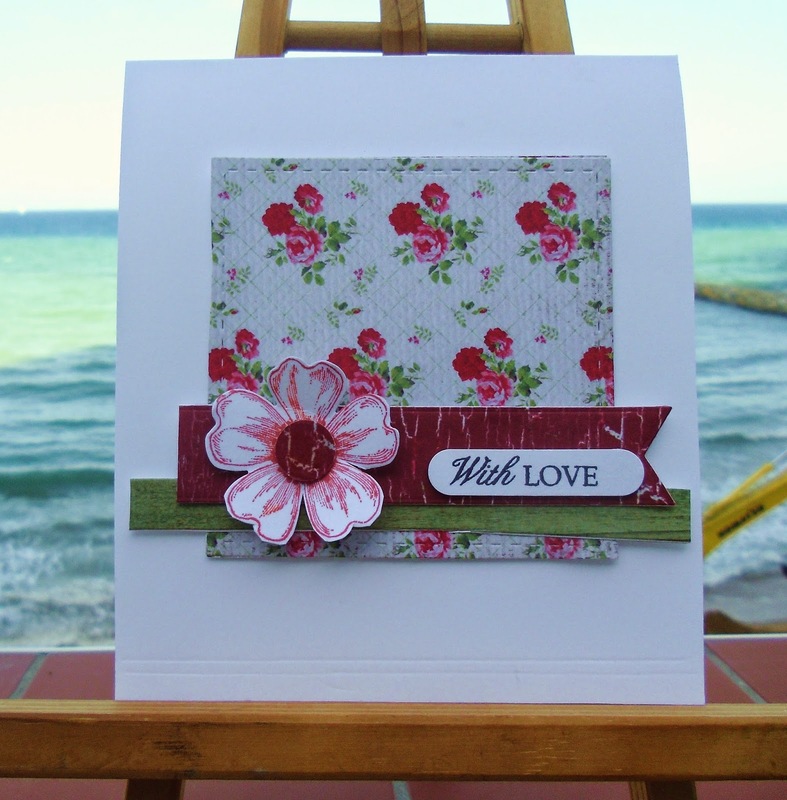 Sylvie what a lovely take on the challenge, love that patterned paper added while still keeping it CAS.